After years of unconfirmed reports and false sightings in Mexico and Central America, scientists now know where the northern black swift (Cypseloides niger borealis) goes each winter. These elusive birds wing their way from the misty waterfalls of their breeding range in western North America to wait out the winter in the lowland rainforests of the Brazilian Amazon. Jason Beason of the Rocky Mountain Bird Observatory and his team fitted little backpacks containing geolocator tags to four birds from two breeding colonies in Colorado. The 1.5-gram packs recorded light levels over 1 year; the scientists successfully retrieved data from three of the tags and, using standard astronomical equations, converted those data to latitude and longitude to figure out where these birds disappeared to every fall. The scientists plan to tag birds from other breeding colonies throughout their range to see whether they all head to Brazil or if they go elsewhere. The weekend before last, I had a chance to head out early for some late winter mountain birding. My main target was a shot at White-tailed Ptarmigan at a drive-able location at Bow Lake in Banff National Park. 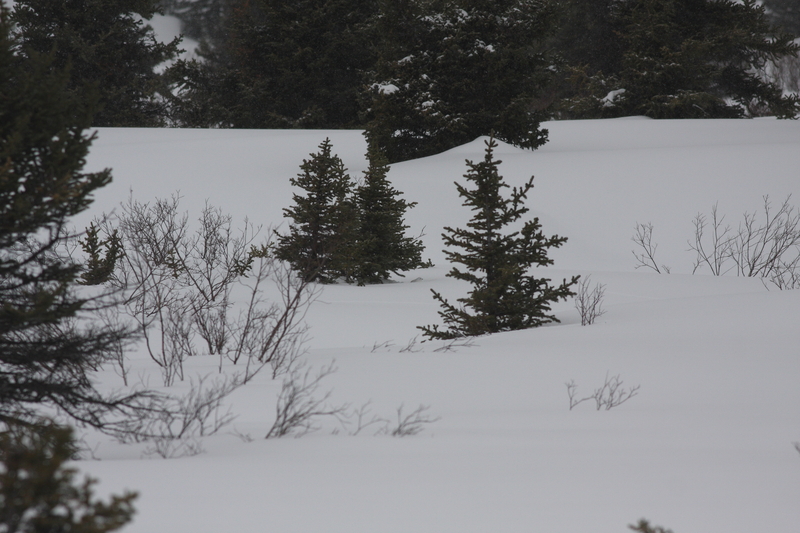 During winter the ptarmigan come down from higher elevations to feed on willow buds and take shelter. After a snowfall is the best time to find them because you can concentrate your efforts around fresh tracks. Not being properly equipped with snowshoes I knew I would be limited to scanning and scoping if I wanted a chance at finding this well camouflaged species. Eventually I did locate a couple and saw many more tracks. Can you spot the WTPT? I made a brief stop at Harvie Heights near Canmore and the town of Exshaw on the return ride. There were a couple Clark’s Nutcrackers and Pine Grosbeaks as well as all three chickadees at Harvie and Exshaw was quiet with only 4 Gray-crowned Rosy-Finches, one of which was a “Hepburn’s”. 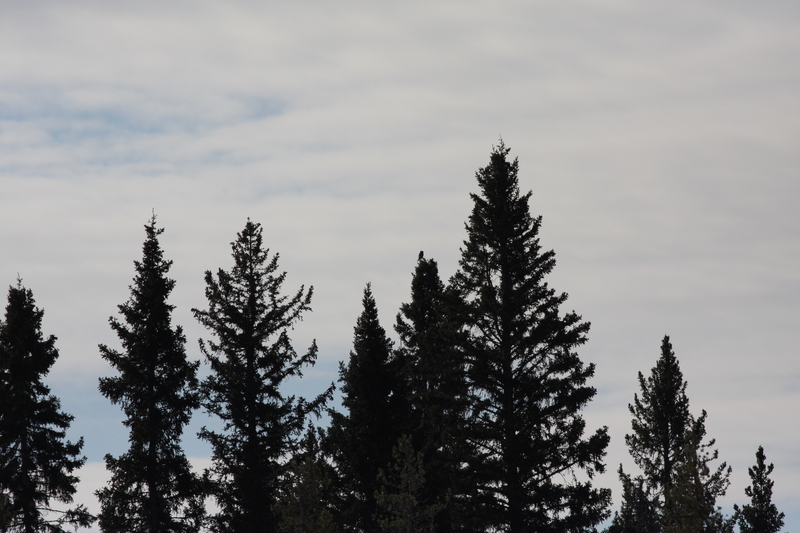 I also stopped at a known wintering location of a Northern Hawk Owl but after driving the roads where it was recently observed I turned up blanks. I decided to spend a little extra time scanning the tree tops and eventually found a suspicious blob a long distance away. 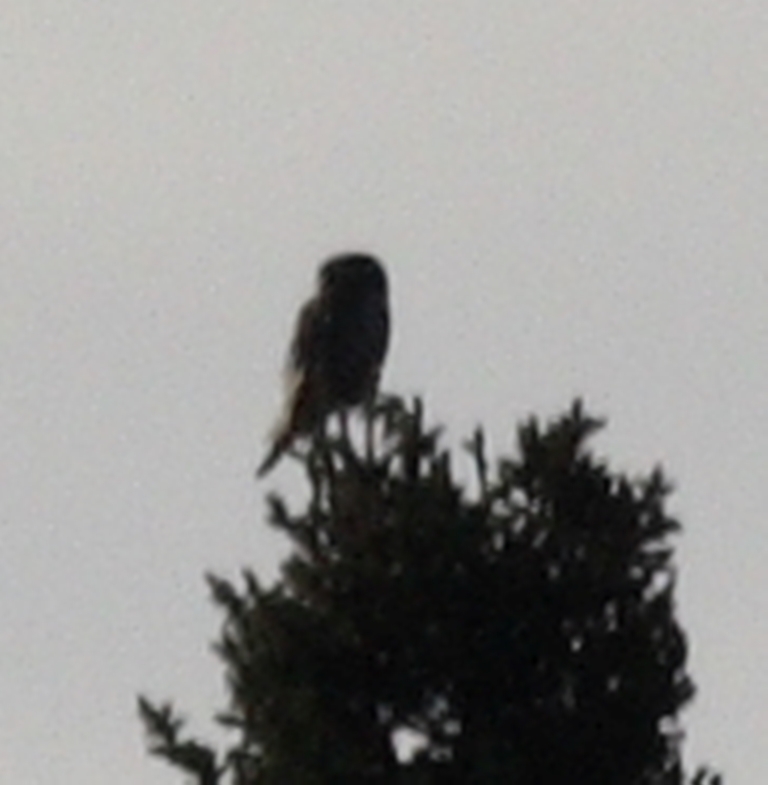 The following is an un-cropped image of the blob with a 400mm f/5.6 which after scoping/zooming in you can turn into the silhouette of a Northern Hawk Owl. 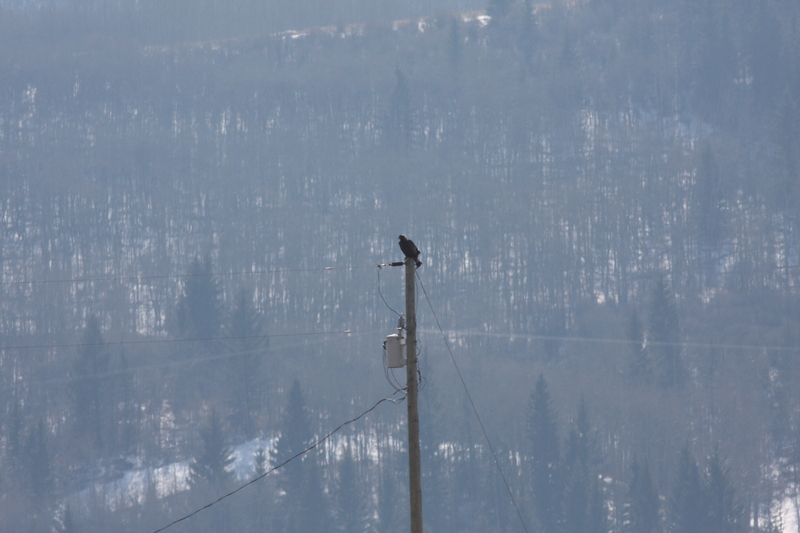 The last notable bird of the day was a distant dark blob on top of a post just west of Cochrane. 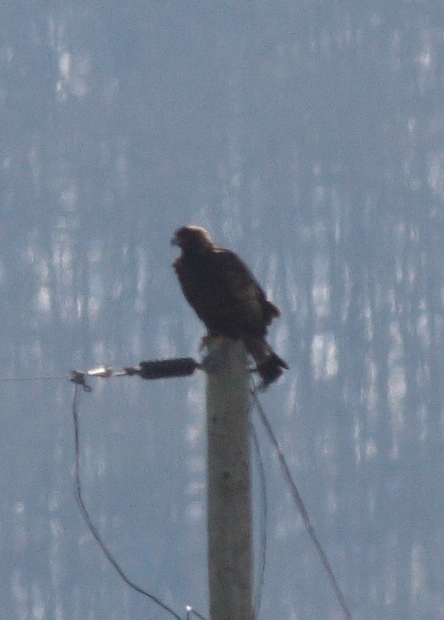 It somehow seemed a little larger than a Common Raven so I pulled over and scoped it. Turns out it was a good idea. Golden Eagle! Although sometimes it takes a little more effort, scanning can really pay off. I often find it is surprising how far a bird can be and still be identifiable. 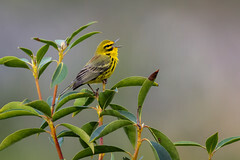 The official blog of Anous© Birding Syndicate. This is a channel where you can find posts on all things birds. Members of the syndicate share birding related information on everything from trip reports, to product reviews, to general birding tips and tricks. Check out the trip archives to see how Anous© members on any given trip can influence each other to push the limits of endurance and sound judgement in pursuit of seeing it all. Learn more about the birding equivalent of extreme sports – Big Days. We hope you enjoy our travels. On behalf of Anous©, welcome to THE NODDY!